Peak periods will be more difficult from october for all the Melbourne’s emergency departments. The Victorian Government has stopped the “hospital bypass” practice, that permit to the metropolitan hospitals to deny access to patient in non-critical conditions if they are full. SOURCE ABC – For the past 20 years, metropolitan hospitals have been able to put themselves on bypass at peak periods, so ambulances could not take patients there if they did not need to be seen urgently. But changes introduced into Parliament today will allow paramedics to take patients to the nearest hospital, regardless of how full it is. Health Minister Jill Hennessy told the Parliament the move was long overdue. “This change will put patients first. It will finally bring Victoria into line with every other state or territory which do not have bypass as a feature of their health system,” she said. “This practice has forced ambulances to continue to travel outside their region, it’s forced hospitals to deal with a ripple effect around their emergency department. A recommendation to remove the system was included in the Ambulance Performance and Policy Committee’s Interim Report, as a way of reducing ramping and keeping ambulances on the road in their area. Ambulance Victoria’s acting chief executive, Tony Walker, said he was pleased the change had finally been made. “When a health service goes on bypass, it means that we lose the ability to go there and have to take more to the next hospital which in turn means it’s likely they’ll go on bypass as well,” he said. Hospitals will only be allowed to be bypassed in extreme circumstances, such as power failure. The State Government is providing a $800,000 boost to health services affected by the change to help them adjust and allow for additional nursing staff during peak periods and an extra medical consultant help discharge patients from the emergency department. 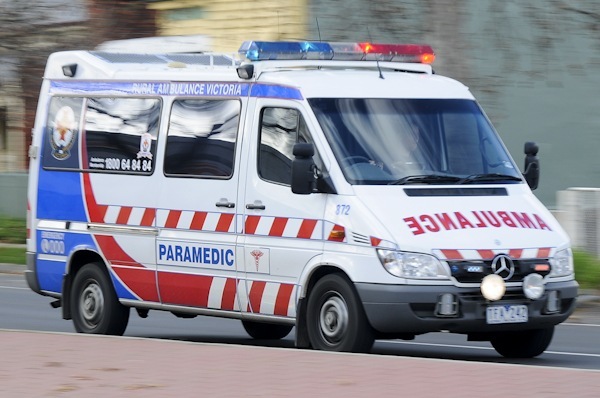 An interim report on Victoria’s ambulance service released earlier this year showed response-time performance had fallen steadily over the past six years. The changes will come into effect on October 7.